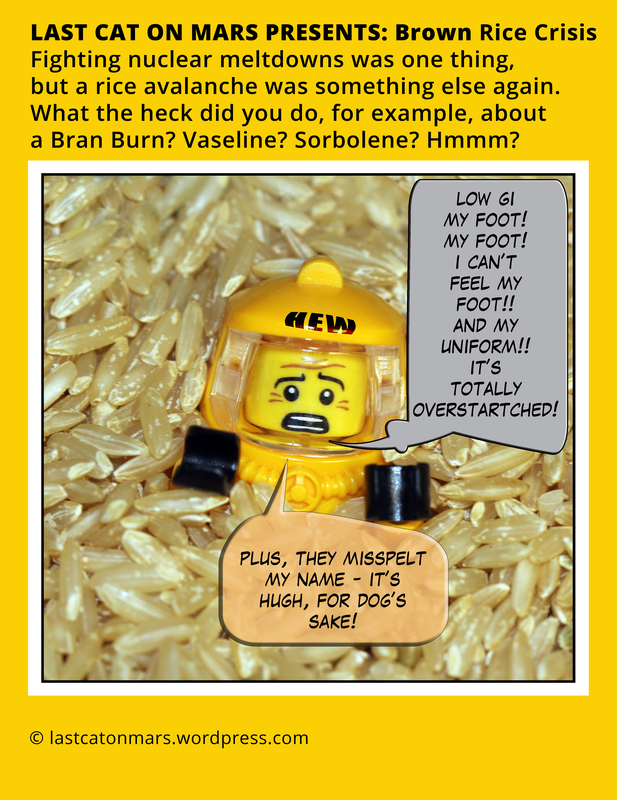 This entry was posted in Variety Show and tagged hazmat, lego, minifigure, rice, starch on December 27, 2014 by Jay Verney. 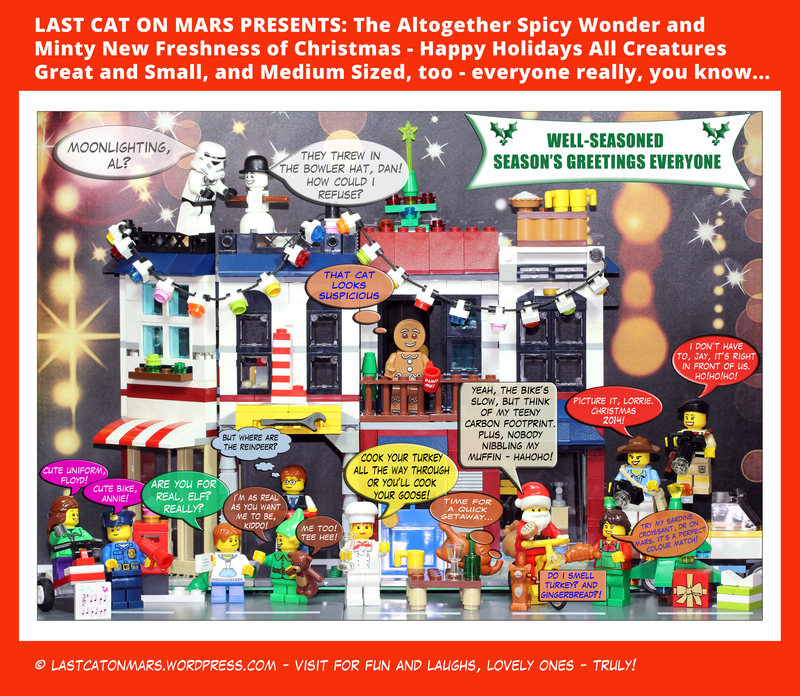 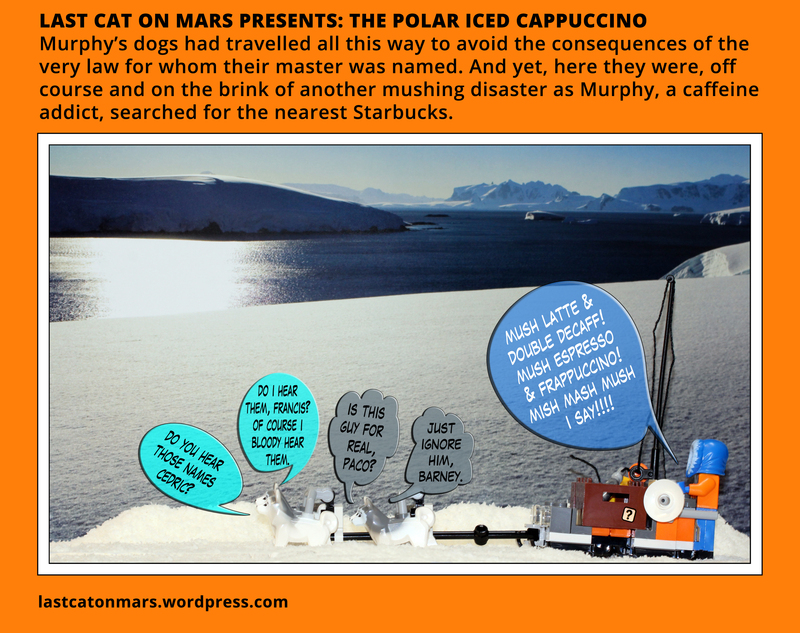 This entry was posted in Special Occasions and tagged chef, Christmas, Christmas 2014, Dr on Mars, elf, food, gingerbread man, lego, minifigures, Santa, snowman, Stormtrooper, tree, turkey on December 24, 2014 by Jay Verney. 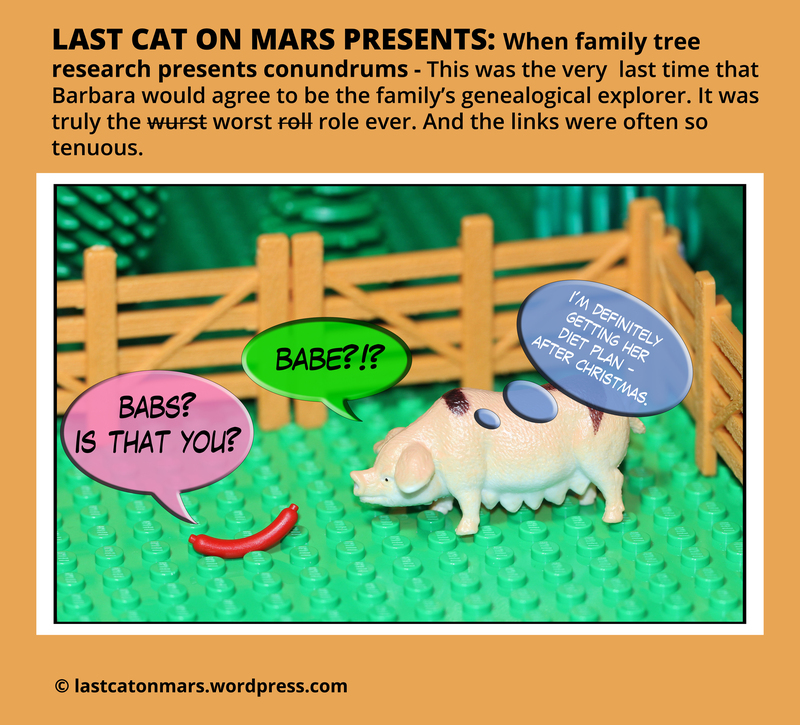 This entry was posted in Variety Show and tagged Babe, family tree, genealogy, lego, minifigures, pigs on December 22, 2014 by Jay Verney. 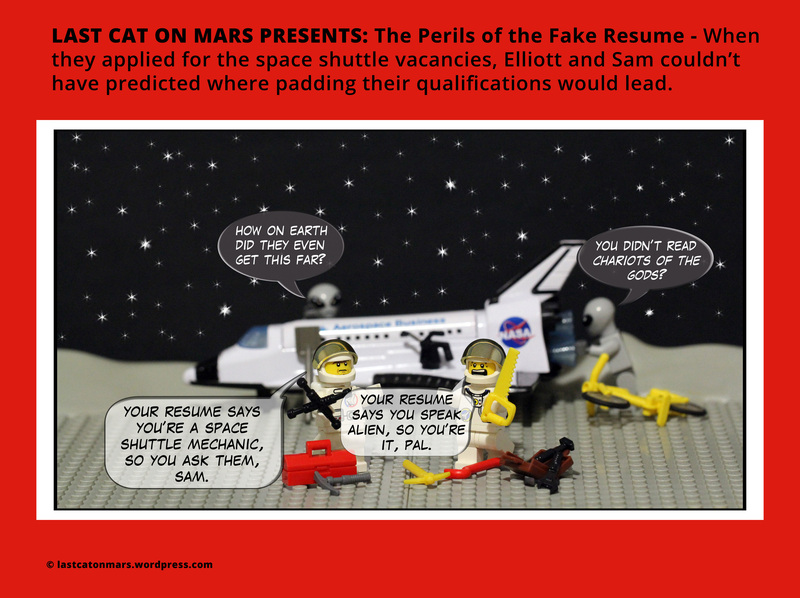 This entry was posted in Space and tagged aliens, astronauts, CV, lego, minifigures, Moon, resume, space shuttle on December 17, 2014 by Jay Verney. 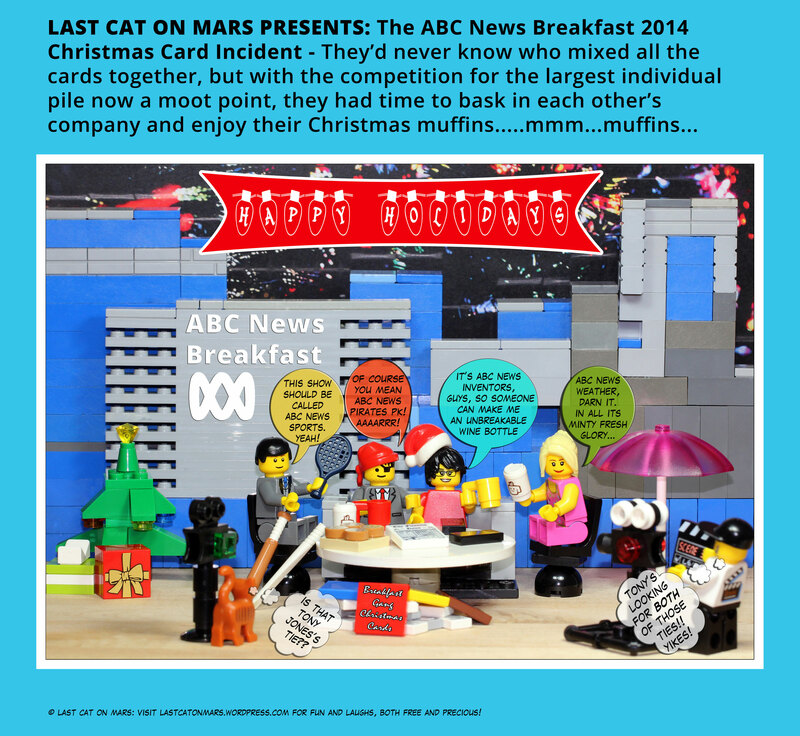 This entry was posted in Special Occasions, Variety Show and tagged ABC News Breakfast, cameras, Christmas, lego, Michael Rowland, minifigures, Paul Kennedy, pirates, sport, studio, Vanessa O'Hanlon, Virginia Trioli, weather, wine on December 9, 2014 by Jay Verney. 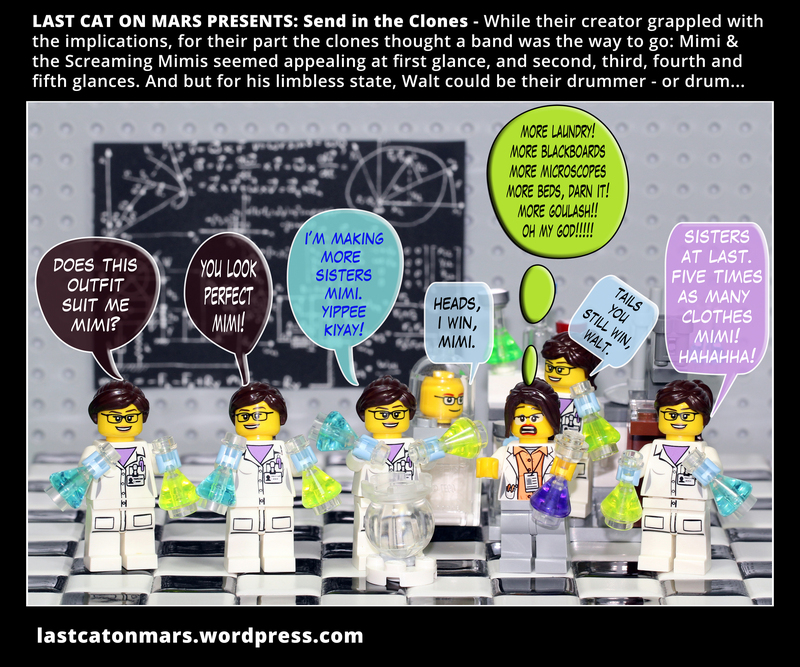 This entry was posted in Science, Variety Show and tagged clones, laboratory, lego, minifigures, scientists on December 7, 2014 by Jay Verney.